I saw this over at the RBS Tabletalk blog and thought I would share it with this blog's readers as well. It is called "The twelve Doctrines of Christmas." Final Reminder: The Journey Book Giveaway Drawing is Tomorrow! This is the final reminder to the blog's readers that, as I announced on September 1, I am going to offer a free copy of two of the Journey books for Christmas this year to one of the blog's email subscribers. They will include the recent book, A Journey in Heresy, and the first book in the Journey series, A Journey in Grace. If you already have the first book, then I will allow the substitution of another from the series. Tomorrow, December 11, at 11:00 PM Central Standard Time, I will draw from the addresses included in the email subscriber list from FeedBurner. So, if you want to have a chance to receive these books, then make sure you sign up as an email subscriber to the blog using the Subscribe in a reader link on the right panel of this page. And make sure you click the "Get Reformed Baptist Blog delivered by email" option. When you receive a verification email, make sure you respond in order to verify your email address, because only verified email addresses will be eligible. Current email subscribers are already in the running. I will send the two books to the first email subscriber drawn and that I can contact, so make sure that your email address is valid. I suspect that once you have read a couple of the books, you will want to read more of them and will recommend them to others as well. As a pastor, I have found that folks have really been helped by them and have found them enjoyable reading as well. And by the way, Dr. Belcher's latest book, A Journey in Dispensationalism, is in the works, and I will let the blog's readers know as soon as I hear that it is available. I have been searching for online sermons by Dr. Belcher for my own edification and also to share with the blog's readers. I have come up with a list that I would like to share with you here. My goal is to collect as many links to his online sermons and teachings as I can all in one place. If you know of other sermons by Dr. Belcher online, I would ask you to please post a link in the comments here. If you would like to hear some of his sermons, you can start by checking the Sermons page of Covenant Baptist Church in West Columbia, South Carolina (where he currently serves as pastor). You may also want to check out Dr. Belcher's description of the way the Doctrines of Grace have impacted his own life and ministry in a series entitled "My Journey in Grace." This four part series is included on the Sermons page at the website of Southside Baptist Church in Denver, Colorado (just scroll down the page). You can find a number of his sermons at SermonAudio.com here. These messages include "Defining and Defending Sovereign Grace," a "Biography of Adonirum Judson" (in narration and song), a two part series on "Sovereign Grace in the Book of Romans," a two part series on "Prayer, the Holy Spirit and Revival," and a ten part "Study of Job." You can find a four part series on Jude at the website of Sovereign Grace Baptist Church in Rio Rico, Arizona. Again, if you know of other sermons by Dr. Belcher online, I would ask you to please post a link in the comments here. As you may have guessed, given previous posts on this blog and my joy at his joining the blog, my interest is also quite personal, since Dr. Belcher has been perhaps the one person God has most used to help shape my own theology and ministry. Continuing Debate Over Baptist Usage of the Word "Reformed"
You can read my response to Clark's argument in the July 2 post entitled Why I Call Myself a Reformed Baptist. But I also wanted to point out some other reading that may be profitable, at least if you don't mind wading through a lot of interaction and debate in the "comments" sections of a couple of blogs. 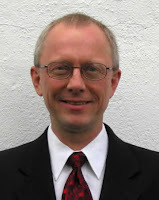 To begin with, R. Scott Clark has written a couple of other Heidelblog articles in which he takes exception to Reformed Baptists using the term Reformed to describe themselves. The first was posted back on July 3 and is entitled A Baptist Reads RCC and Benefits From It. And the second was posted on November 27 and is entitled Post-Thanksgiving Cartoons: A Reply to James White. The reason I suggest both articles, by the way, is not because either of them is particularly good, but because in the "comments" section of each one there are some very good arguments offered by Reformed Baptists in their exchange with Scott and other Presbyterians. Most notable among the Reformed Baptist contributors to this discussion is Robert Gonzales, who ably defends our point of view. In addition, Gonzales has posted his own article updating the status of the debate over at the RBS Tabletalk blog. That article was posted on November 28 and is entitled May Baptist Churches Use the Adjective "Reformed"? The Ongoing Debate. It is well worth reading if you have any interest at all in the discussion/debate. 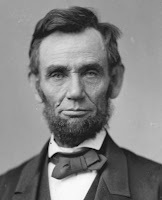 But I would still recommend wading through all of those comments over at the Heidelblog! The main concern of this news story was whether or not the Manhattan Declaration calls for civil disobedience, and it would seem to me that it certainly does call for civil disobedience if such should be required. But my own concerns about the declaration lie in another area. To be sure, there is much in the seven page document with which I and most other Evangelical Christians may wholeheartedly agree, and this is no doubt why a number of men I respect have signed it. For example, the List of Religious & Organizational Leaders Signatories includes men such as Bryan Chapell, J. Ligon Duncan, Wayne Grudem, and R. Albert Mohler. Notice the way in which the document speaks of medieval monasteries and Papal edicts as Christian along with Evangelicals like Wesley and Wilberforce. I hope the readers of this blog are beginning to see why I have concerns about this document. Although I agree strongly with the stances taken in the Manhattan Declaration on the issues of life, marriage, and religious liberty, I cannot agree that those who believe the things formally taught by the Roman Catholic Church about the Gospel should be called Christians, at least not in the same sense that we use the term of those who believe the true Gospel as taught in Scripture. In fact, the above citations from the Council of Trent indicate that the Roman Catholic Church does not think we should all be called Christians either, for when it pronounces an anathema upon those of us who believe in justification by faith alone, it places us outside what they believe to be the true Church. Now, I could go on to cite a number of other examples of this sort of ecumenical ambiguity in the language of the Manhattan Declaration, but I think the point has been made sufficiently. I will just say in closing that this is a "call of Christian conscience" that my conscience will not permit me to sign. For in doing so, I might publicly clarify my stand on some important moral issues, but I would do so while at the same time helping to foster a lack of clarity about the Gospel. This I could never do. As a true Protestant, I must instead say, "I protest." You may also want to read Al Mohler's Why I Signed The Manhattan Declaration and Alistair Begg's article simply titled The Manhattan Declaration, in which he explains why he chose not to sign the declaration (from the standpoint of one who was present when the initial draft was presented). Obviously, I agree with Begg on this one. In answer to the question, “R.C., why didn’t you sign the Manhattan Declaration?” I offer the following answer: The Manhattan Declaration confuses common grace and special grace by combining them. While I would march with the bishop of Rome and an Orthodox prelate to resist the slaughter of innocents in the womb, I could never ground that cobelligerency on the assumption that we share a common faith and a unified understanding of the gospel. The framers of the Manhattan Declaration seem to have calculated this objection into the language of the document itself. Likewise, some signers have stated that this is not a theological document. However, to make that statement accurate requires a redefinition of “theology” and serious equivocation on the biblical meaning of “the gospel” (2 Cor. 11:4). I am grateful for his input. A Psalm of Thanksgiving. Make a joyful shout to the LORD, all you lands! Serve the LORD with gladness; Come before His presence with singing. As a pastor I have often been asked over the years whether or not I think Christians should tithe, and my response is usually, “I think it is a good place to start.” I hope in this article to offer a Scriptural explanation for why I think this is so, especially since the practice appears to have fallen on hard times. There are probably a number of reasons for this, and I have little doubt that a lack of commitment to Christ and His Church, the idolatrous grip of materialism, and plain old selfishness have played some part. But I think the primary reason among thoughtful Evangelicals has to do with their understanding of Scripture. They simply see tithing as a practice that is no longer required of God's people and therefore just don't bother with it. For example, many Christians today rightly observe that we are no longer under the Mosaic law (Rom. 6:14-15; Gal. 3:10-23) and that, since tithing was a part of this Mosaic Law (Lev. 27:30-34; Num. 18:20-21; Deut. 14:22-29), we are therefore no longer required to continue the practice. In addition, it is observed that since tithing is not explicitly taught as a requirement in the New Testament, we have another reason that it is not a necessary practice for Christians. I agree that there is no clear New Testament teaching commanding Christians to tithe, and this is why the elders at Immanuel Baptist Church (among whom I serve) do not demand that anyone tithe. But that doesn't mean that we would not encourage tithing as a good and godly practice or, as I stated earlier, as a good place to start with one's giving. I. Why Shouldn't We Tithe? In seeking to answer this question, I would like to draw your attention to several lines of argument in Scripture that show that tithing is a good idea. Both of these texts are historical narrative passages which tell us about what Abram and Jacob did, but they do not give a command to others to tithe. These passages are descriptive, not prescriptive. However, what they describe is a good response to God that has been recorded for our benefit. And we know that God approved of their tithing, for He later incorporated tithing into the Mosaic law as we have already seen. In fact, I think it may be best to assume that Abraham and Jacob got the idea from God in the first place. But wherever they got the idea, the fact is that the practice was around and found to be good in God's sight before its incorporation into the Mosaic law, which should at least give us some pause about being so quick to dismiss it as simply a part of the Mosaic law that has passed away. It is this kind of legalism that so many Christians fear today with respect to the practice of tithing, and they are right to seek to avoid such legalism. But I would hasten to add that just because something may be done in a legalistic way does not mean that it cannot be practiced in a proper way that recognizes that all that we have is by the grace of God. I would also warn against using the charge of legalism as an excuse to be stingy with what God has given us. Now, as for Matthew 23:23, Jesus is dealing with those who were still under the law, and thus we cannot say that He intended here to enjoin the practice of tithing upon the New Covenant Church. But we can say that He approved of and encouraged tithing as a godly practice if done with the right motives. Paul does not explicitly mention the tithes that were given to the Lord for the sustaining of the Levitical priesthood, but the tithe was definitely a primary means of their support. And Paul clearly does see the concept of their sharing in what is given by the people as a model for the support of pastors today. Thus we certainly could say that tithing is a good idea, even if not something that can be demanded (for to demand it when Scripture does not would be the very kind of legalism Jesus despised). To be sure, Paul is dealing here with a special offering that is being taken to support the church in Jerusalem, and he does not explicitly mention tithing or giving any fixed percentage of one's income, but he does clearly see the importance of giving in proportion to what one has. And tithing surely would be a good way of putting this principle into practice. Some Christians see in this passage clear evidence of the practice of Christian tithing. They would argue that just as Abraham gave a “tenth” to Melchizedek – who is at the very least shown to be a type of Christ in this passage – so we too give “tithes” to Jesus, who is our Great High Priest according to the order of Melchizedek. The author of Hebrews, it is argued, assumes that the believers to whom he was writing did tithe, and he obviously thinks this is right. I am not certain that this way of reading Hebrews 7:8 is correct, and thus I do not see it as an ample basis for saying that Christians should be required to tithe. However, I would observe that, if Abraham honored Melchizedek as a “priest of the Most High God” by giving a tithe to him, why shouldn't we see it as a good way to honor Christ as our Great High Priest who ever lives to make intercession for us? If Abraham honored Melchizedek as the King of Salem by giving a tithe to him, why shouldn't we see it as a good way to honor Christ as our King of kings and Lord of lords? Shouldn't we want to honor Christ at least as much as Abraham honored Melchizedek? I can think of few better ways to acknowledge that Jesus truly is our supreme Lord than to demonstrate that He is more important to us than our money and to do this by giving regularly. And I can hardly think of a more Biblical place to start such giving than with tithing. That is absolutely true. It's why my main way of talking about money year in and year out at Bethlehem is not to focus on tithing, but to focus on lifestyle. What you do with every cent says something about your view of God and what he means to you. And what your values are in this age. And what you think your few years on earth should be spent for. That's true. But God is wise and knows us deeply. He knows that there is something wrong with the husband who answers his wife's complaint that he doesn't give her any time by saying, "What do you mean, I don't give you my time? ALL my time is yours. I work all day long for you and the children." That has a very hollow ring to it if he doesn't give her any "especially time." Giving her some evenings together and some dates does not deny that all his time is for her, it proves it. This is why God declares one day in seven especially God's. They are all his, and making one special proves it. And this is the way it is with our money and God. Giving God a tenth of our income does not deny that all our money is God's, it proves that we believe it. Tithing is like a constant offering of the first fruits of the whole thing. The tenth is yours, O, Lord, in a special way, because all of it is yours in an ordinary way. So, in summary, can I say that Christians are commanded in Scripture to tithe? No, and to try to demand tithing as though it is commanded of Christians in Scripture would be legalism, which I abhor. However, I do think that I can encourage tithing as a godly practice for Christians to follow in their giving, at least as a good place to start, which leads me to my next question. II. Why Shouldn't We Do More Than Tithe? When he came to prepare the way for Christ and to call God's people to repentance, John the Baptist taught, “He who has two tunics, let him give to him who has none; and he who has food, let him do likewise” (Luke 3:11, NKJ). This is a kind of giving that goes beyond simply a tithe! It is giving away half of what you have! So, although the Christian is nowhere commanded to tithe, he is called upon to at least be willing to give up everything for Jesus! And a tenth is a small thing in comparison! Simply put, our willingness to give is directly proportional to our trust in God to take care of us and to keep His promise that He will provide for us to give more than we ever thought possible. This strong encouragement certainly makes me want to venture far beyond the tithe in my giving! But I have had to begin somewhere, and for me the tithe was a good place to start. I hope it will be so for you as well. I think God took the focus off giving a tithe in the early church because he wants his people to ask themselves a new question. The question that Jesus drives us to ask again and again is not, "How much should I give?" but rather, "How much dare I keep?" One of the differences between the Old Testament and New Testament is the Great Commission. By and large the Old Testament people of God were not a missionary people. But the New Testament Church is fundamentally a missionary people. The spiritual hope and the physical and emotional sustenance that Jesus brought to earth is to be extended by his church to the whole world. The task he gave us is so immense and requires such a stupendous investment of commitment and money that the thought of settling the issue of what we give by a fixed percentage (like a tenth) is simply out of the question. My own conviction is that most middle and upper class Americans who merely tithe are robbing God. In a world where 10,000 people a day starve to death and many more than that are perishing in unbelief the question is not, what percentage must I give?, but how much dare I spend on myself? In a post entitled "Family of Families" in the News, Brown indicates the fourth part of the series will offer "some insight on what we have learned from this experience." Brown also responds to one of Jason Webb's assertions regarding the the Puritan approach in a post entitled Did the Puritans have a "Family of Families" Ecclesiology. Somehow I do not think that this debate will be over any time soon, and it is clear to me that some of the key FICM advocates think that they are being badly misunderstood and misrepresented. But, while I think this may be happening to some extent, it also appears to me that they are responsible for much of the confusion themselves, most particularly due to their use of problematic language and an imbalance in emphasis on the importance of one's biological family versus the spiritual family that is the Church. At any rate, I thought it only fair that I inform the blog's readers about what those on the other side of the issue have to say. I hope that FICM advocates continue to refine their position and the language used to describe their position, and I hope the writings of my Reformed Baptist brethren may be of assistance to them in this regard. Scott Brown has posted The Church Family is a "Family of Families" -- Part 4, in which he gets into more depth about the relationship of the Church family to the biological family. I still can't shake the feeling that what is in part a proper reaction to the destruction of family life in our culture has become an overreaction. Scott Brown has posted yet another article in his series responding to Reformed Baptists objections. It is entitled The Church is a "Family of Families" -- Part 5 and is subtitled "What have we learned from this controversy over 'Family of Families'?" In this article Brown speaks to the way he believes FICM advocates have often been misunderstood and of the way NCFIC will make use of the phrase "family of families" in the future. Although he says that it no longer appears in current NCFIC literature and has been removed from their core document "A Biblical Confession for Uniting Church and Family," he also states that "We have no intention to abandon the use of the phrase or the concept behind it. It is a very important principle that undergirds a biblical understanding of church and family life." So, while Brown obviously sees that the phrase "family of families" has been problematic when used as a descriptive term for the Church, so much so that it has been removed from all of the NCFIC literature, he nevertheless thinks that there is no need to abandon use of the phrase among FICM advocates. I juts ran across yet another article by Scott Brown which seeks to clarify what he and Voddie Baucham mean by the assertion that "the church is a family of families." The article is entitled Is the church a "family of families?" Earlier today an excellent article on the regulative principle of worship was posted on the RBS Tabletalk blog. The article was written by Jim Domm, who is Pastor of Englewood Baptist Church in Englewood, New Jersey, and an M.Div. Student at the Reformed Baptist Seminary. The article is entitled The Regulative Principle of Worship in Historical Perspective, and it is well worth reading. In it Jim does a terrific job of giving a brief historical and theological overview of the doctrine, as well as a description of the many issues of debate that surround it. For those who may not be familiar with the regulative principle and would like to learn more about it, this article is a good introduction, with footnotes that will lead you into the primary books and articles if you want to go deeper. Nice job, Jim! Reminder: The Journey Book Giveaway is Coming! This is just a reminder to the blog's readers that, as I announced on September 1, I am going to offer a free copy of two of the Journey books for Christmas this year to one of the blog's email subscribers. They will include the recent book, A Journey in Heresy, and the first book in the Journey series, A Journey in Grace. If you already have the first book, then I will allow the substitution of another from the series. On December 11 I will draw from the addresses included in the email subscriber list from FeedBurner. So, if you want to have a chance to receive these books, then make sure you sign up as an email subscriber to the blog using the Subscribe in a reader link on the right panel of this page. And make sure you click the "Get Reformed Baptist Blog delivered by email" option. Current email subscribers are already in the running. I will send the two books to the first email subscriber drawn or that I can contact, so make sure that your email address is valid. I have been a long time user of e-Sword (alongside BibleWorks) and cannot recommend it highly enough. It is a free Bible study software program that rivals many that you would have to pay for and is better that most. And the latest version (9.5.1) is even better, with a fully dockable user interface that enables you to completely customize the layout and "display what you want, where you want it by dragging the views into position with their titlebar." This program also makes basic word studies a breeze and has been of great use to those in my congregation to whom I have recommended it. In fact, they often tell me that they love the layout and how user-friendly the program is. There is not a very steep learning curve with this program, so most anyone can catch on to it quickly. The Bible Search feature now allows the ability to perform case-sensitive searches. The multi-row tabs are now locked in place, so no more moving targets! A new Bible book browser has been implemented and is no longer docked to the side of the program. Press the F2 key to display the Lookup Scripture Reference dialog next to the mouse pointer wherever it is located, or access it from the main toolbar with the button next to the "Lookup" combobox. Study Notes can be made on any verse in the Bible, now including the Orthodox Apocrypha and the Catholic Deuterocanon. You can now Export the Study Notes and Topic Notes in HTML, Word DOC and Adobe PDF file formats, in addition to the previous plain text and Rich Text formats. You can now Import both HTML and Word DOC files directly into the Study Notes and Topic Notes. The Print Preview feature has been updated, and now all printing is performed through it. Highlighting custom colors are now saved for use between sessions. Localization of the e-Sword user interface continues with the implementation of fully Unicode compliant controls. All available Bibles, commentaries and dictionaries are readily viewed without having to "tile windows". Create your own "parallel Bible" with up to any four translations. Studying the Word of God and comparing passages have never been easier! Integrated editor for creating your own commentaries or study notes, complete with Spell Checking and a Thesaurus! Notes are "linked" to the Bible for easy viewing and can also be exported for portability. Comprehensive print capabilities, including print preview, allow you to create impressive Bible study handouts from the Study Notes Editor. Strong's definitions are displayed as ToolTips! Just place the mouse pointer over a Strong's number and the definition will then be displayed. Scripture references in the Commentary and Dictionary views are displayed as ToolTips! Just place the mouse pointer over the reference and the passage will then be displayed. To go to the passage, just click it! Easily compare the various translations to see how they rendered the Greek or Hebrew manuscripts. Powerful search capabilities, yet simple to use. Enter as many words you want to search for and select the search style and range. You can even search on Strong numbers and exclude words from the search! Use the Verse List to create your own topical lists of Scripture, or cataloging your discoveries! Copy and print Scripture in a variety of formatting styles. This is also available for search results and verse lists. Graphics Viewer for studying maps, charts, and other images. STEP Reader for viewing the various resources you may have invested in from QuickVerse, Bible Companion, and WORDsearch. Although a number of modules have been developed for purchase by eStudySource, the list of free modules grows daily. There are quite a few free modules already offered at the e-Sword downloads page, such as John Gill's Exposition of the Entire Bible, Matthew Henry's Commentary on the Whole Bible, the Keil & Delitzsch Commentary on the Old Testament, or A.T. Robertson's Word Pictures in the New Testament. This list has grown steadily over the years. For those who are interested, I have also made a number of resources of special interest to Reformed Baptists available at my own website here (all the resources with a .top extension are e-Sword Topic Notes files). If you are looking for a free, user-friendly Bible study program that you can recommend to others in your church, e-Sword is hard to beat! In the above recorded class, John White talks about what evangelism is as is not. I hope the blog's readers find it as edifying as I did. No doubt my fellow Reformed Baptists will agree with Dr. White's perspective. Recently there have been some good blog articles written by Reformed Baptists in response to the growing Family-Integrated Church Movement (FICM), and I would like to inform this blog's readers of some of them. First, I would suggest beginning with the wise counsel of Andy Dunkerton, one of the elders at Grace Reformed Baptist Church in Mebane, North Carolina. He has written an excellent article entitled What Should We Think of the Family-Integrated Church Movement? In it he offers sound advice about the proper attitude and care we should take in evaluating the FICM, along with a solid frame work within which to evaluate such movements. Well done, brother! When the church is seen as a distinct and sovereign institution under God, then its right and duty to fulfill the Great Commission in many ways beside the meeting of the church becomes clear. The elders of the church and their appointed delegates have the right to instruct the men, the children, and the women of the church in age-segregated situations. The Great Commission gives the church the right to evangelize and instruct the entire world and so certainly the children and wives of believers. It does not limit this instruction to church services. Only a specific, scriptural prohibition would warrant a man in refusing as a matter of principle to cooperate with the church in such attempts to evangelize and edify all those to whom the church is sent by the Great Commission. No such prohibition exists. In principle the choice to join a church is a choice to subject one’s wife and one’s children to its instruction. This is what church membership means—subjection to the authority of a specific, local church to fulfill its commission with regard to one’s children and one’s wife. In principle refusal to allow this in one’s absence represents a misconception of the nature of the church and her authority. To sum up the church does not exercise authority over its members through the mediation of heads of household or as families, but as individual believers. Its authority over the women of the church is not exercised, for instance, through the head of the family. Its authority is direct. While children are under the care and authority of the family, parents of children who are members ought to be grateful for and recognize the right of the church to evangelize their children with their consent. Again, I think Dr. Waldron has identified what I have found to be a primary issue in discussions I have had with FICM advocates in my own ministry, and he has offered a sound, Scriptural response. In these articles Webb focuses on the nature of the Church and aims his critique at the common and misguided "family of families" understanding of the Church among FICM advocates. He deals primarily with the nature of the Church as a New Covenant community over against an inappropriate application of Old Covenant concepts to the Church by many FICM advocates. To be fair, one prominent FICM advocate, Voddie Baucham, has sought to distance himself from some of the errors associated with the "family of families" concept, here and here. But he admits that this terminology – terminology which he and his church have helped to promote – is "enigmatic," and I think he fails to see how much the terminology has been taken by many common FICM advocates as descriptive of the nature of the Church. This is why I think Webb's critique is necessary and appropriate, Baucham's protestations notwithstanding. Here Webb discusses the use of Biblical metaphors describing the Church (e.g. that of a family) and the need for care in understanding these metaphors. He also offers a good, brief description of the distinctive roles of the Church and the family. Here Webb offers an historical critique from the standpoint of Puritan theology. He especially highlights the theology of Richard Baxter, John Owen, and the early Particular Baptists. The only conclusion that can be drawn from the research is that the Family-Integrated Church Movement needs to rework their ecclesiology. They need to clarify their positions and their priorities in light of Scripture. Their ecclesiology does not bear up to the scrutiny of the Word of God; neither does their elevation of the family as a guiding structure for the Church. Christ is building His Church. The FICM needs to make sure they are not building with wood, hay, and straw. After having read the entire series by Webb, I highly recommend it as a well-reasoned and Biblical approach. I cannot help but agree with his conclusions. In this open letter Dr. Waldron clarifies some misunderstandings about what he had previously written, recognizes that the FICM is not monolithic and that there are more moderate branches, and offers some additional thoughts on why Reformed Baptists oppose the FICM. Dr. Waldron has been writing a whole series of blog articles responding to the FICM here. As the pastor of Immanuel Baptist Church in Bloomington, Illinois, which has been the only Reformed Baptist church in our part of central Illinois, I was very excited (to say the least) to discover that a new Reformed Baptist church has been planted in Germantown Hills (just east of Peoria), which is only about 40 minutes away. Christ Bible Church was founded on June 2, 2008 as an organized church of Jesus Christ in the State of Illinois, city of Germantown Hills. On May 18, 2008 Pastor Kerry and about 17 members and regular attendees of a local church he pastored, broke fellowship with them when it became obvious the church rejected the Word of God as plainly taught by Jesus Christ, the Apostles and the reformers, choosing rather to hold to their traditions. With much Joy in the Lord and in answer to prayer we met later that evening and by God's grace, began to lay the foundations for Christ Bible Church. Currently, (October 2009) we are approximately 17 in number and growing. We are looking for a new location to worship and hope to be in a new location by the beginning of 2010. Christ Bible Church in an Independent REFORMED Baptist Church which affirms and proclaims the doctrines of Grace and the 5 Solas of the Reformation. 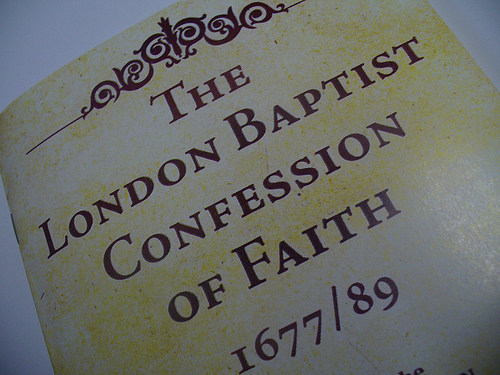 We are unashamedly Calvinist in our Theology and believe the 1689 London Baptist Confession of Faith best articulates the teachings of the Holy Scriptures. Our musical worship is a mix of traditional and contemporary and our preaching is expositional through books of the Bible, one book at a time for both Sunday School and Morning worship. Our weekday evening worship service is either teaching through a book of the Bible or other teaching series. Currently, we are learning the overview of the Bible through RC Sproul's DVD Series "Dust to Glory." This will be followed by RC's teaching of Reformed Systematic Theology through his "Foundations" DVD Series. Our atmosphere is informal and relaxed and we hold to the regulative principle of worship. If you are looking for a strong, Bible-believing church in the Peoria area, a church that is faithful to the Gospel, check out Christ Bible Church! I have begun to notice a trend in many evangelical circles today toward acceptance of the idea that has been known historically as "soul sleep." This is the idea that, after death, a person is in an unconscious state while awaiting the resurrection, after which the person will experience the final judgment. This idea has been rejected by Reformed theologians over the centuries. They have commonly held, instead, to a doctrine of a conscious intermediate state. That is, they have held that, after death, a person consciously exists as a disembodied spirit. The wicked experience torment in the intermediate state, but the righteous experience joy in the presence of the Lord while they await the resurrection. This brief article is my attempt to gather together the passages commonly cited by both the opponents and the advocates of the traditional doctrine of a conscious intermediate state and to offer a defense of the traditional view. 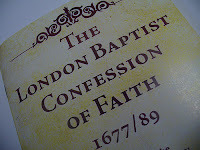 It is my hope that this will provide a helpful resource for God's people in understanding and defending this doctrine. Following is a list of many of the passages that are often used by those who argue for and against the doctrine of “soul sleep.” Brief comments are offered from the standpoint of the traditional Reformed understanding of a conscious intermediate state. Unless otherwise noted, all passages cited are from the New King James Version. This passage is said to teach that we are in an unconscious state when we die. However, there is no indication in the context that David intended to teach about the state of the dead at all, whether conscious or unconscious. Instead, his focus is on the fact that, if he dies, there will be no one alive to praise the Lord before men for His great mercies. Note the focus in the context on his desire to be delivered so that his enemies will be put to shame (vss. 7-8). What David is really saying is that, if he dies, there will be no remembrance of God before his godless enemies, and there will be no one to give God thanks in the presence of his enemies, in order to bring them to shame. Again the context helps to explain the Psalmist's point. He begins the psalm by focusing on how God deserves the glory for His mercy and truth (vs. 1) and by asking rhetorically, “Why should the Gentiles say, 'So where is their God? '” (vs. 2). So, the theme of the psalm is the way the glory of God should be manifested before unbelieving Gentiles, who trust in idols rather than the true God. The Psalmist carries this forward by comparing faith in God to the futility of trusting in idols (vss. 3-8), and then by reminding the people of Israel to continue to trust in the LORD in the midst of such idolatry (vss. 9-13). This is followed by an expression of blessing upon true believers and their children (vss. 14-15). Thus, the Psalmist has in mind the need for believers to prosper with God's help and by trusting in Him as sovereign over all creation, not only because it is the truth and brings blessing to themselves, but also as a witness to the Gentiles. The dead cannot give such praise to God before the Gentiles. This is the point. The Psalmist is viewing the grave from the standpoint of this life and the opportunities for witness that this life provides, over against which the grave is a place of silence. If any doubt remains as to the correctness of this interpretation, all one has to do is read on to verse 18, “But we will bless the LORD from this time forth and forevermore. Praise the LORD!” The writer clearly believes that those who praise the LORD now will continue to do so after death. Generally, those who cite this verse do so from the KJV or the NASB, which says, “His spirit departs, he returns to the earth; in that very day his thoughts perish.” However, the Hebrew word translated as “thoughts” in this verse is eshtonah, which The Hebrew and Aramaic Lexicon of the Old Testament defines as “plan” (#7406 [BibleWorks]). This is the translation that is found in the ESV, the NET, and the NKJV. It is the translation that I will follow. In verse 3 the Psalmist has admonished the reader, “Do not put your trust in princes, nor in a son of man, in whom there is no help.” Thus, when he goes on to say that “his spirit departs, he returns to the earth; in that very day his plans perish,” he clearly means that, even though such men may look successful and powerful, they will die just like the rest of us. Where will their plans for conquest or riches - or whatever else they may seek in this life - be in the day of their deaths? The answer is that those plans will perish with them. So we should instead trust in the Lord, whose plans never perish. First, we must remember to use caution when building doctrine from the book of Ecclesiastes, for there has been continuous disagreement over whether the author is always stating his own views, or whether he is stating opposing views from the culture in which he lives in order to respond to them. This form of dialog is not uncommon in ancient wisdom literature, and may be the best explanation for how to properly read Ecclesiastes. Note: The phrase “under the sun” occurs some twenty-nine times in Ecclesiastes, highlighting an important theme of the book, which is the apparent futility of life in this world (but see 12:13-14). See above on Ecclesiastes 9:5 and observe that this verse is bracketed by an emphasis upon life “under the sun” (vss. 9, 11). Thus, again, the author refers to a lack of opportunity in the grave to accomplish anything more in this life, i.e. in this world. I would also observe that later in the book, the author refers to an “eternal home” for man, when his “spirit will return to God who gave it” (see 12:5-7). This indicates the idea of the spirit departing the body at death to be with the Lord, an idea frequently denied by proponents of soul sleep, many of whom hold to a monistic view of man that does not allow for the separation of the spirit from the body at death. Some who advocate soul sleep refer to this verse as describing the death not only of the body, but also of the soul. If the soul dies as well as the body, they argue, then it must be in some unconscious state. However, this misunderstands the way in which the term for soul (Hebrew nephesh) is frequently used. For example, the word may also often be used to mean either “person” or “life” (see, for example, BDB #6250, TWOT #1395a, HALOT #6283 [BibleWorks]), usages which may better fit this passage. However, even if this is referring to the death of the “soul” as distinct from the body, it is speaking of the spiritual death of sinners and does not necessitate the idea that the person is unconscious after death. For example, doesn't the Bible teach that the second death entails conscious torment of unbelievers in Hell (Matt. 25:41, 46; Rev. 14:9-11; 20:6, 10, 14-15; 21:8)? How, then, can it be argued that the idea of the death of the “soul” requires the idea of unconsciousness? Those who argue for the doctrine of soul sleep and advocate an unconscious state of the dead claim that such passages clearly demonstrate this contention. Without attempting to be exhaustive, I would suggest several points in response. First, none of these passages actually says that the soul sleeps when a person dies. They simply refer to dead people as sleeping, and this apparently from the perspective of what we can see, namely the body. Second, the reference to death as “sleep” in these passages is intended metaphorically, as a euphemism for death. “When Scripture represents death as 'sleep' it is simply a metaphorical expression used to indicate that death is only temporary for Christians, just as sleep is temporary” (Wayne Grudem, Systematic Theology, p. 819). It is especially interesting that the primary New Testament texts which refer to death as “sleep” also teach the doctrine of the resurrection. This reinforces the understanding of the metaphor as referring to death as merely temporary. Third, it is unclear what the proponents of soul sleep really mean when asserting the unconscious state of the dead from the metaphor of death as sleep. For example, when we sleep, are we really unconscious? Aren't there examples in Scripture of God communicating to believers through dreams and visions while they sleep? And don't we often dream when we sleep? If this is our experience of sleep now, how can anyone say that a soul's "sleeping" after death (if the metaphor be taken literally) would require that it be unconscious? Fourth, although the proponents of soul sleep seem to be trying to read these passages literally, it is not really possible to do so. For example, sleep is very much a process of the living, not the dead. People who are asleep still breath, for example, and they still move around. But do the dead do these things? Now, it may be argued at this point that they are asserting only that the soul sleeps at death, but then we come back to the fact that no text explicitly states this. And we again encounter the difficulty of saying what sleep would even mean in such a case, and whether or not it is really possible to exclude consciousness by definition as a part of what it means to sleep. Thus, it really isn't possible to take the references to death as “sleep” as anything more than metaphorical references describing death as a temporary state, and that from the standpoint of what we can see of the physical body, which may at first appear to be sleeping. 1) Interpret according to context – As demonstrated above (particularly with respect to the use of texts from the Psalms and Ecclesiastes) those who argue for soul sleep often ignore the context of the passages they cite. 2) Do not press metaphors too far – Metaphors generally intend one point of comparison between that which is being used as a metaphor and that which is being described metaphorically. For example, when Jesus says, “I am the door” (John 10:9), He certainly does not mean that He is like a door in every respect. Rather, the context indicates that He is like the door of a sheepfold in that He is the only way through which we may find safety and rest. In my opinion, the proponents of soul sleep either take the metaphor of sleep too literally, or they press the metaphor further than the individual texts in which it is used will allow. 3) Interpret ambiguous passages in the light of clearer ones – As demonstrated above, the proponents of soul sleep tend to rely on too many ambiguous texts (such as those in Ecclesiastes). They take such texts too literally, or wrench them from their contexts, or read into them, and then try to understand clearer texts in the light of these faulty readings. In reality, a proper method of interpretation will do the opposite. 4) Interpret earlier, less detailed passages in the light of later and more detailed ones, appropriately recognizing the principle of progressive revelation – This is probably one of the most disturbing errors of those who advocate soul sleep. They seem to ignore the concept of progressive revelation and to read the Old Testament as though it intends to speak as clearly to the issue of the state of the dead as does the New Testament. They thus read more into the Old Testament texts than those texts warrant, and then try to make the New Testament texts conform to their questionable understanding of the Old Testament texts. A better approach is to allow the New Testament texts that actually deal with the subject to interpret the Old Testament texts that usually refer to the state of the dead merely from the standpoint of this life and with little or no interest in asserting anything specific or detailed about the state of the dead. 1) Is the term sleep ever used in the New Testament to describe the death of the wicked? So far as I can tell after a brief examination, it appears as though this metaphor is used only of believers when New Testament authors are describing or teaching about death. What significance – if any – might this have? Could it be that Jesus and the Apostles used this metaphor only of believers because it expresses the temporary nature of the death of the body and the hope of the life to come in the resurrection? To be sure, the wicked will also be resurrected, but they will then experience the second death, not the hope of everlasting life. 2) Is the soul/spirit ever said to be resurrected? After a brief examination, it appears as though resurrection is consistently asserted with regard to the body only. But if the doctrine of soul sleep is correct, and the body and spirit are never parted, then wouldn't we expect to see this indicated with respect to the doctrine of the resurrection of the dead? Death is described as the departure of the soul (nephesh) from the body. This supports the traditional understanding that the soul/spirit is separated from the body at death. Although too much weight should not be given to what may be intended as allegorical language, if taken literally this passage supports a conscious state of the dead in Sheol. Jesus clearly assumes that the death of the body does not include the death of the soul. And He sees the death of the soul of the wicked as ultimately in hell (gehenna), which refers to the place of final judgment. Matthew 17: 1-8, The Transfiguration. Both Elijah and Moses appear to Jesus (even though Moses had died and was buried, Deut. 34: 5-6). See also the parallel passage in Luke 9: 27-36. The point here is that Moses is clearly experiencing a conscious intermediate state. Of course, a proponent of soul sleep might argue that this is an exceptional case, but I think the number of other passages listed here belie such a contention. Jesus is here citing Exodus 3:6. But how does this passage necessitate the doctrine of the resurrection? It is important to see Jesus' answer in the context of both the beliefs held by the Sadducees and the common Biblical understanding of the nature of humans as a unity of body and soul. First, the Sadducees did not believe in any existence for humans beyond the grave. They taught that when the body died the soul/spirit died right along with it. Thus when we die, they thought, we simply cease to exist. So, when Jesus cites Exodus 3:6, in which God tells Moses that He is “the God of Abraham, the God of Isaac, and the God of Jacob” and asserts that God is “not the God of the dead, but the God of the living,” His point is clear. It is absurd to think that God would claim to be the God of non-existent beings, as would be the case if the Sadducees were, in fact, correct. So, when God says to Moses that He is the God of Abraham, Isaac, and Jacob – many years after they had all died and were buried – He is also asserting that they are still alive. And this must mean that they are alive as disembodied spirits – which the Sadducees also denied. Second, if Abraham, Isaac, and Jacob are alive as spirits, then doesn't this also demand that they will be resurrected? For they have not been saved as whole beings unless their bodies are saved as well. Jesus clearly assumes the truth of this view of the unity of humans as body/soul beings, which is why He can see Exodus 3:6 as necessitating the resurrection. Thus, Jesus' arguments clearly assume the correctness of the common view among the Pharisees in His day, namely that human beings are a unity of body and soul/spirit, but that their spirits are separated from their bodies at death to be re-united with them in the resurrection. Jesus' argument from Exodus 3:6 makes sense only if He is assuming the correctness of these ideas. Luke 16:19-31 The story of the Rich Man and Lazarus. But, even though dependence upon some particular work or even some specific stock story is highly unlikely, let us assume that the advocates of soul sleep are correct in saying that as a parable it would have been recognized by the Jews as a fictional account intended to make a point. I still cannot agree in such a case that the Jews would have thought Jesus intended to affirm nothing concrete about the intermediate state. On the contrary, Jesus clearly does assume the kind of view of the intermediate state that appeared to be commonly held by the Pharisees and many Jews in the first century. He certainly doesn't seem to expect them to take issue with the basic features of the story. But I wonder, then, how Jesus could tell such a story without at the same time affirming the validity of such ideas. If, in fact, there is no conscious intermediate state, then how could Jesus tell such a story without leading many people astray? In my opinion, it really doesn't matter with respect to the issue under discussion whether the story is a parable or not. I see no way that Jesus could have told it in any case without at the same time affirming the concept of a conscious intermediate state such as the story describes. At any rate, this passage is hardly the primary or only text to which advocates of a conscious intermediate state appeal. 1) It is hard to imagine why Jesus would find it necessary to point out to the thief that He was making the promise “today.” Wouldn't this have been so obvious to the thief that it would not need to be pointed out to him? 2) The punctuation proposed by the advocates of soul sleep ignores the usual way that Jesus employs the introductory formula, “Truly [amen], I say to you,” or “Truly, truly, I say to you.” I have searched for every other case in which Jesus uses this introductory formula, and I have discovered that He always begins the important statement He wishes to make immediately following the phrase, “Truly, I say to you,” or “Truly, truly, I say to you,” with no intervening words or emphases upon the time at which He is speaking. The passages I checked include Matthew 5:18, 26; 6:2, 5, 16; 8:10; 10:15, 23, 42; 11:11; 13:17; 16:28; 17:20; 18: 3, 13, 18, 19 [variant]; Matthew 19:23, 28; 21:21, 31; 23:36; 24:2, 24, 47; 25:12, 40, 45; 26:13, 21, 34; Mark 3:28; 8:12; 9:1, 41; 10:15, 29; 11:23; 12:43; 13:30; 14:9, 18, 25, 30; Luke 4:24; 12:37; 18:17, 29; 21:32; John 1:51; 3:3, 5, 11; 5:19, 24, 25; 6:26, 32, 47, 53; 8:34, 51, 58; 10:1, 7; 12:24; 13:16, 20, 21, 38; 14:12; 16:20, 23; 21:18. In no instance did I find that Jesus varied from this pattern. Yet, the advocates of soul sleep would have us believe that in this one particular case Jesus parted from His habitual manner of speaking, and that He did so in order to point out something that would have been obvious to the thief anyway. Such an argument is truly incredible. 3) It is also important to remember that Jesus is making the promise to the thief in order to comfort Him by responding to his request. But the thief's request includes a time element. He has requested that Jesus will remember him when He comes into His kingdom (verse 42). Isn't it likely that, when Jesus responds to the thief and says, “today you will be with me in Paradise,” He is actually answering the thief's request? Isn't He encouraging him that he will have to wait no longer than that very day to be with Him? 4) When Jesus says that the thief would be with Him in “Paradise,” He appears to be referring to Heaven. The only other uses of the Greek word paradeisos are in 2 Corinthians 12:4 and Revelation 2:7, both of which refer to Heaven. Again, it is hard to imagine how this could be a promise that the thief would be with Jesus in Heaven in an unconscious state. There are those, however, who have argued that Jesus could not have been referring to Heaven here because He told Mary after His resurrection, "Do not cling to me, for I have not yet ascended to my Father" (John 20:17). But this later statement of Jesus, having been made after the resurrection, refers to His ascension in His resurrection body. There is no reason to assume that Jesus is referring to His post-death/pre-resurrection (i.e. intermediate) state at all. This statement, along with the other statements of Jesus which refer to everlasting life as a present possession, does not promise that the body will never die, but rather must mean that we will never die spiritually. But how can He say that the believer will never die, unless He is referring to the soul as living on beyond the death of the body? Now, I suppose that Jesus' promise here does not demand that we have a conscious life beyond the grave, but it is hard to imagine why Jesus made such a promise that we will never die if, in fact, He thought we would not be aware of being alive while existing in some unconscious state. At any rate, Jesus' promise certainly does appear to contradict the assertion of many soul sleep advocates that the body and soul die together and are then raised together unto new life in the resurrection. Paul is teaching here that it is only the outward man that is perishing, not the inward man. In the context it would appear that the outward man (apparently referring to the body) is of the “things which are seen” and that are temporary, whereas the inward man that is being renewed day by day is of the “things which are not seen” and are eternal. Isn't this a reference to the spirit? If so, how can it be credibly argued – as is often attempted by proponenets of soul sleep – that the spirit dies along with physical the body? 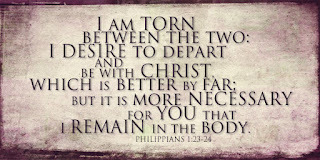 Paul refers to an intermediate state here when he envisions the possibility of being out of the body and at home with the Lord, without saying that we are in a new body yet. But why would being in the presence of the Lord while out of the body be something to look forward to if, in fact, we will be unconscious in such a state? Paul clearly believes that a man can be conscious while “out of the body,” which must be a reference to one's spirit leaving the body. This contradicts the idea of many soul sleep advocates that the body and the soul/spirit form an inseparable unity and that consciousness outside the body is not possible. Paul clearly contrasts departing to be with Christ (dying, vss. 20-21) with living on in the flesh. 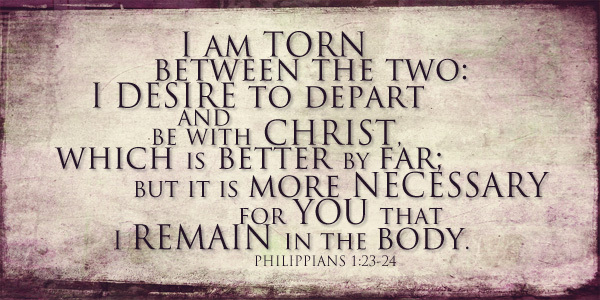 Thus death will mean being with Christ outside the flesh (the body), which is considered by Paul as “gain” (vs. 21) and as “far better” than the current state (vs. 23). I fail to see how looking forward to being with Christ can be thought of as the anticipation of an unconscious state in which one will be unaware of being with Christ, as the proponents of soul sleep envision the intermediate state. The author of Hebrews clearly thinks of those who have died before us in the faith (“so great a cloud of witnesses,” vs. 1) as spirits who are now alive with the angels in Heaven, having been made perfect. They must, therefore, be experiencing a conscious intermediate state. In describing death as the body's being “without the spirit,” isn't James assuming that the spirit leaves the body at death? This again contradicts the common notion among advocates of soul sleep that the body and soul/spirit are inseparable. As Paul had done in 2 Corinthians 5, so Peter also uses the metaphor of a tent to describe the earthly body as a temporary dwelling. Observe that death is referred to as putting off this tent, which implies the continuance of that which puts off the tent, i.e. the soul/spirit. It is hard to imagine how John's vision of the souls under the alter cannot be seen as teaching a conscious intermediate state for those who have died in the Lord. Of course, I suppose one could argue that this is a highly symbolic passage, and that we must not take it as a literal reference to actual disembodied souls. But I would respond by asking what this reference then symbolizes, if not the existence of conscious spirits in the intermediate state? Although there seems to be a growing number of evangelicals who are beginning to question the traditional understanding of the intermediate state, a fair examination of the relevant passages – taken in context – confirms that the traditional Reformed view of a conscious intermediate state is correct. It is my hope that this brief examination has demonstrated this clearly for any who may question this doctrine.